There are some great free sites for researching property in Australia. You can find out everything from capital growth trends to the hipness of an area. In recent years (and even months) a lot of great free sites have been made available to help Australian investors and homeowners do effective property research. Here are my 8 favourite sites that I think you will absolutely love. You can get almost everything you need for property research just from these 8 free websites. Let me show you through them now. RealEstate.com.au and Domain.com.au are antiquated portals full of ads that get in the way of your property search. When I do a simple search for properties in “Cronulla NSW” my adblocker blocks 17 ads on RealEstate.com.au and 26 ads on Domain.com.au. Ads aside MyRealEstate.com.au is a better search tool for a number of reasons. A) You can use natural language (think Google) – “2 bedroom unit in cronulla under $700k” (click to see the results in a new window). Other sites force you to enter criteria which is more annoying. B) You can use search terms – I love searching for properties with the keywords “rented for” (click to see the results in a new window) to find out some yields of the area and even find positive cash flow properties. C) All properties – MyRealEstate shows properties from all major real estate portals plus real estate agents websites. So every property is going to be on there. DSR Data (stands for Demand to Supply Ratio) collects a lot of different data point to give you an idea of how much demand there is from properties compared to the supply of properties in an area. High demand and low supply leads to a high DSR score and correlates to short-term growth of the area. Low demand and high supply give you a low DSR score and correlates to negative or stagnant growth of the area. Sign up for a free account and you also get data or auction clearance rates, days on market, percent stock on market, percent renters in market, online search interest, average vendor discount, gross rental yield, vacancy rate and typical value. Microburbs is a great new tool that gives you immense amount of detail into the demographics of a suburb. It will show you details and even heat maps of everything from public housing to crime rates to median income in the area. This tool is an absolute must if you want to get an understand of what the area is like before investing into the area. OnTheHouse is a great way to get a lot of the information found in a free property report. It will give you an estimate of the value of the property, give you zoning details, land size as well as previous sales history for the property. You can see exactly when the property was previously sold and for how much. Occasionally you can also see what the property was previously rented for. It will also show you comparable properties in the area so you can compare the value/asking price of a property to similar properties in the area. The major real estate portals don’t show when the property was listed. They want to hide this from you as they want to serve the best interests of the selling agents. Often a property may stay on the market for a long period of time and have lots of price reductions. Looking at just the portals you will never know about this. OldListings.com.au doesn’t have every property but it does have a lot, and will show you when the property was previously listed and how much it was listed for. This is great for negotiating and understanding how long a property has actually been on the market. Ksou is a site primarily aimed at Chinese investors (thus the .cn) but it’s English version is a really helpful tool. It has a lot of features but my favourite feature is the ability to find what properties have rented for recently. I personally used then when my rental agent wanted to increase my rent. I showed them what comparable properties were listing for and was able to negotiate the same rent for another 12 months. When investing in property you almost always want to invest in areas with a low vacancy rate. This indicates demand for the area and means your property is more likely to be rented (and thus generate an income for you). SQM’s vacancy rate tool is 2nd to none. The data is really fresh (like 1 month old fresh) vs other sources (eg. Magazines) where the data is 6 months old. Plus you can see the month by month trends for years! I think the data goes back to 2006 or something crazy like that. So if you want to know the vacancy rates of an area this tool is for you. The Census is a survey that is done every 5 years and analyses a lot of things about the residents of an area. Census Quickstats is a great tool that allows you to view that data. You can see demographics of an area, income levels, how people commute to work, the types of dwellings in the area and much much more. While Microburbs pulls a lot of the same data and in many cases displays it in a better way the Census Quickstats allows you to see more data and you can compare 2001, 2006, 2011 (and soon) 2016 data. There you have my pick of the 8 best sites for property research in Australia. I use these sites on a regular basis and can do all my statistical property research using nothing but free sources. This list proves that there is a lot of great resources out there and that you can invest wisely without having to spend a lot of money. However, if you’re one of those people who is struggling with research and is interested in getting the help of a buyers agent to help you buy property then check out our free strategy session offer. We work closely with Ben Everingham (my buyers agent of choice) to give On Property readers a free strategy session to help them understand their financal goals and the next steps to take to move towards them. When you’re doing property research, where are the best places to find data about the areas that you’re looking in to? Well, in this episode, I’m going to show you the 8 best free sites for property research in Australia. You can get almost everything you need for property research just from these 8 free sites. So let me show you through them now. The first site that I recommend when searching for property is a new one called myrealestate.com.au. Now, you’re probably aware of realestate.com.au as well as domain.com.au, but this one takes it to the next level. So let’s go ahead and got to myrealestate.com.au. This is just a much smarter search engine and a much more pleasing way to search for property. It acts like Google and searches the entire Internet for all property listings and then list them inside this search engine. Let me search for 2 bedroom units in Cronulla New South Wales between 500k and 700k. All right, let’s have a look at those and that is now going to show us these 2 units here. If I have a look at the filters, we can see it’s showing Apartments, 2 bedrooms or more, price range between 425,000 and 575,000. Okay. So, it wasn’t perfect there in the price range, but I can go and adjust that to 700k like I said and it’s going to show us these items here. Now, something that is great about myrealestate.com.au is you will notice the massive lack of ads. If we look up here, this is my ad blocker. I run an ad blocker because I hate ads. So let’s go to realestate.com.au. I’m also going to load up domain.com.au just for fun and we’ll see how many ads get blocked. So we can see 16 ads are blocked before we’ve even looked somewhere. Let’s just look to buy in Cronulla, see how many blocked. And let’s again go for Cronulla in New South Wales on Domain. So we can see there’s been 17 ads blocked on realestate.com.au, which is a lot. Domain is now racking up the bill – 10, 12, 26, 27 ads are blocked on Domain. And as you can see, you can only scroll through one at a time here and we’ve got a lot of featured listings and things like that, so it’s not always super relevant. Whereas, MyRealEstate we can see there’s no ads blocked. So if you don’t have an ad blocker, it’s going to look exactly the same. And you can scroll through; you can see 4 at a time. Down here, you can scroll through the pages, but soon they’ll be doing infinite scrolling so you can just go all the way down. So, if you’re searching for property, I definitely recommend trying our myrealestate.com.au. It is a great service and I hope they stick around for a long time. The next tool that I recommend when you’re looking at growth trends is called dsrdata.com.au. So let’s go ahead and go to dsrdata.com.au and “DSR” stands for “Demand to Supply Ratio”. This is going to give you an indication of how much demand there is in an area compared to the supply. So let’s go ahead and we’ll punch in Cronulla, we’ll look at units in the area. We can see that the DSR for the area is 74, which is quite high. Ideally, 50 is where demand and supply are theoretically evened out. So anything above 50 is a good sign. Anything below 50 is likely a red flag, which means there’s more supply and not enough demand in an area. So we can see that there’s great DSR for Cronulla. If we go ahead and login and put in Cronulla units here, then we can actually see more information. We can see Demand to Supply Ratio, Auction Clearance Rate, Days on Market, Percentage Stock on Market, Average Vendor Discount – all of these different things. So we can see, for example, Average Vendor Discount, 1.39%. We can look at that on a scale; see the Australian average, the Australian median as well. And so, obviously, Average Vendor Discount is quite good, it’s in the green there. And we can also see trends because I do believe it was negative for a while. Yes, it did go negative. Last time I looked, there was a negative vendor discount and we can see that their vendor discount is creeping up, which could indicate that the peak that has happened in Sydney is now starting to slow off because vendors are needing to discount the sale of their property in order to sell. Whereas, previously, properties were selling for over their advertised price. DSR Data gives you a lot of information for free. It’s free sign up. However, they do have a Millionaire program if you want more data as well. So if you’re really serious, I think it’s like $30 a month or something like that. So it’s well worth it if you’re seriously looking into an area. If you’re looking at growth trends, you want to understand capital growth trends, how much demand there is in an area, dsrdata.com.au is the place to go. Next. When we’re looking at suburb demographics, we want to go to microburbs.com.au. This is one that I just discovered last week. Jane Slack Smith from The Ultimate Guide to Renovation hooked me up with this one and I then did an interview with the founder and found out how awesome this is. So if we go ahead, we go to microburbs.com.au. Let’s go ahead and type in Cronulla. Then this is going to show you so many different things about the area. We can see some Median Land Value there. But what we can do, we can see planning applications for the area, which is going to be very valuable. You can see there’s new units being built, what modifications. We can see some liquor licenses going in there. Quite a few liquor licenses; I don’t know what that means for the area. We can look at ethnicity. We can look at Family Score. We can look at how good the schools are in the area. We can look at Affluence Score. I’ve done a video, I think it was onproperty.com.au/340 and you can see public housing in the area. So if I go ahead and click on this, then it’s going to give us a map for how much public housing is in Cronulla. And if we zoom in to the microburb level – it’s just going to load – we can see that there’s basically no public housing in Cronulla at all, so all green there. You can go through, see how many bedrooms there are. You can see the different incomes people are earning, so we can see the average income and you can do heat maps of different areas. You can look at crime rates in the area, the different crime rates and where that happens. You can look at hipness. There’s so many things you can look at. One of the things I love as well is this Development section, which is under Local Government Area Stats and you can see – okay, here’s a map here of what developments have been requested in the last, I think, it’s about 2 years or something there. And we can see the trends in those developments. Trends for single houses is kind of pretty even, going down. Trends for attached houses, also pretty even and trends for units we can see the trends for units is going up in the area. I do know that – I don’t know if it was recently, but definitely within the last 5-10 years, that they lifted a ban on this area of only having units of up to 3 storeys tall. I think it’s up to 6 or 8 storeys or something like that. So that could be the cause of increase of unit developments there. So, when you’re looking for suburb demographics and you want to understand more about a suburb, definitely go ahead and check out microburbs.com.au. The next one we’re going to look at is previous sales history and comparable sales for the area and we’re going to be using a website called onthehouse.com.au. So, let’s go back to myrealestate.com.au and we want to find a property and let’s go ahead and assess some properties similar to that. So again let’s look at 2 bedroom units in Cronulla under 700k. All right, let’s just choose one that has a price range on it. Here’s one for 365k, 5/2 Croydon Street. Now, we’re going to go to onthehouse.com.au and we’re going to do some recon work into this particular property. So let’s go ahead and paste this in, 5/2 Croydon Street in Cronulla and we can click here to go ahead and see the property report for this. If I scroll down, we can see an estimate of the property. Anywhere between $586k and $717k, so it’s recommending about $652,000. We can see it’s listed for $635,000. That seems quite normal to me. And then, if we scroll down, we can see more information – we can see the property history. So we can see that in 2003, it was sold for $395k. 2007, sold for $346k. And then, in 20016, it was “Sold-Price on Application”, so we can apply to see the price. So this was actually sold in February 2016. I am looking at this now in… Well, it is February 2016. So maybe this is sold already and we just didn’t get to it in time. Yup, look, it’s been sold for $625,000. We can see for that property. Okay, so, that one’s actually sold. But anyway, we can still do our research on this. So we can see the sales price for these properties and down the bottom, we can see some comparable properties here. So we can go through and we can look at these properties and we can compare the photos, compare how much they’re listed for and we can look into those properties to get an idea of how much is this property actually worth. And we can see, again, for Cronulla that there’s a vendor discount because this property was sold for $10,000 less than what it was advertised for at $635,000. So, that’s previous sales history and comparables, which you can get at onthehouse.com.au. The next one we want to look at is historical listings. Sometimes, a property will be listed and it will be on the market for quite a long period of time. However, when you go to realestate.com.au or domain.com.au, you won’t see this history of listings. You won’t see the discounts; you’ll just see the latest one. And so, if we want to find out how long a property’s been listed for, we can go to oldlistings.com.au. So let’s go ahead and go to oldlistings.com.au. Cronulla is probably is not the best idea to look at because stuff does sell so quickly in that area. So let’s look at 3 bedroom houses in Moree around 400k. Because I know that Moree takes longer to sell properties so we’ve got a better chance here. Let’s look at this one, 46 Bottlebrush Drive. Now, OldListings is not perfect. They don’t have everything on there, but it’s basically the best thing out there. So what you need to do is first put in the suburb, so let’s go ahead and put in Moree. We’re looking for sales history. Go ahead and click Search. This is now going to bring up all the properties from Moree. To narrow it down, we then want to find our street in the street name filter here and it was Bottlebrush Drive so let’s click this and go down to Bottlebrush Drive here, click on Street Search. And then, basically, we need to go through the street search to find the exact address. So, in this case, it’s 46 so I’m just going to scroll down and try and find 46 in here somewhere. Here it is, 46. So we can see that it was listed in January 2016 and February 2016, so a fairly new one there. However, we can see that some of these have been listed for long periods of time. So we can see that 38 Bottlebrush Drive, Moree was listed in July 2015 and has been on the market now for about 9 or 10 months or 8 months or something like that. So 38 Bottlebrush Drive has been on the market for a while. Often, you will see ones that go on the market, 6 months later, they drop in value. I can’t see any examples here of that, but you definitely do have it. Here we go, 5 Bottlebrush Drive. We can see 2011, it was listed for $260,000. It’s then been re-listed in 2013. Not really relevant to us right now, but you get the idea of how to use oldlistings.com.au to find historical listings. That’s very valuable if you’re looking at, well, how long has this been on the market for and can I negotiate because it’s been on the market for so long and it’s not selling. If you want to find previous rental listings, then I recommend house.ksou.cn and we go in to their Rent section. Now, this is a site that I think is targeted at Chinese investors looking to invest in Australia. So let’s go ahead and we’ll go to house.ksou.cn and we’re then going to go to the Rent Price section here. And we can then search for a suburb or a postcode and to see what have these properties been rented for or what have they been rented for recently. Let’s use the same example of 46 Bottlebrush Drive. Let’s go ahead and paste that in – in Moree, New South Wales and we’ll search for the rent price for that property. And so, what we can see here is a bunch of different properties around there and what they have rented for. So we can see this 35 Bottlebrush Drive was sold in December 2015 for $340,000 and it was rented for $450 in January 2016. So, if your property has previously been rented, it’ll come up here. If it hasn’t, it’s going to show you properties around that area. So we can see all the property listings here and the rent history for them. So if you’re trying to work out, okay, what is this property going to rent for? And you want to use an online tool to do that, then, house.ksou.cn is a great tool to do that. You then go through, look at them and think, okay, well, how does my property compare to these? And then, you can get an estimate of how much it’s going to rent for. We’re then going to look at vacancy rates, which is our second last one. Knowing the vacancy rates in the area is very valuable. 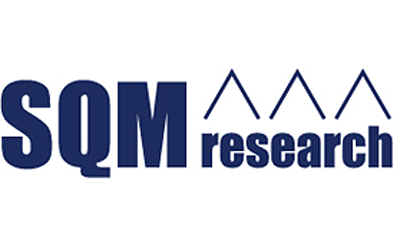 There’s a tool that SQM Research has that is super, super up to date. Talking last month up to date, whereas if you buy a magazine, you might be 6-12 months behind. So, I can’t remember the address, so I just have a shortlink, onproperty.com.au/vacancy and that’s going to go ahead and take you to SQM Research’s tool. Go ahead and click I’ve read the terms and conditions. Click here to see vacancy rates by suburb or postcode and this brings up the graph here. So let’s go ahead and look at the vacancy rate in Moree for an example at the moment. We can see the vacancy rate is currently 2.6%. Now, this line here is the vacancy rate and the bars is how many properties are vacant at the moment. So we can see a trend, since June 2013 or an increase in vacancy rates up to around the 2% mark, 2.5% mark at the moment. And you can go all the way back to July in 2007, so that is 8 years back to see the trends. And you can do that for any postcode in Australia. So this is very, very valuable data. So, if you’re looking for the vacancy rates in an area, then go ahead and check out that SQM Research tool. Just Google SQM Research Vacancy Rates or go to onproperty.com.au/vacancy. Lastly, we want to look at – if we want more demographics, then we’re going to be using the Census Quickstats. So to find that, just Google “Census Quickstats”. Let’s go ahead and Google that. We’re looking for, I think, it’s this one here – census data and analysis. Maybe it’s this quickstats one. We click on that, yup that’s it – the quickstats one. We can select 2001, 2006 or 2011. We can go ahead and type in Moree. Let’s go urban center locality and we can have a look at a lot of different details here. We can see the population of the area break down into male and female. We can see if we go into the dwellings section, we can see how many 1-beds, 2-beds, 3-beds, 4 or more bedrooms are in the area. And we can see most people live in 2 or more bedrooms, not many people live in 1-bedroom units. You can see how many people own outright. We can see 43.8% of people rent, compared to 30% of New South Wales. So you can see a whole bunch of different information here. If we go into the People section, then you can see the age of people. You can see whether they’re married. You can see the education levels. You can see their countries of birth. You can see so many different things. Their employment history and all of that sort of stuff as well. If you’re looking for specific demographics, Census Quickstats is a great way to get access to that. So there you have the 8 best free sites for property research in Australia. If you are looking at investing in property, you need to do some research into a particular suburb, these sites will give you great access to awesome data that you can then go and do some analysis on. If you are struggling with your research and you need some help, maybe you want the help of a buyer’s agent – someone that can point out the right suburb and help you to find the right property, then Ben Everingham from Pumped on Property is offering readers and listeners of OnProperty a free strategy session. So if you’re interested in getting the help of a buyer’s agent to buy a great investment property, then we’re offering you a free strategy session. Go to onproperty.com.au/session to see the details and to request a free strategy session over there. Thanks to Ben from Pumped on Property for offering that to my audience. And just a disclaimer that if you do end up signing up for his services, then I do get a referral fee and I always like to be transparent about that. So, again, you can check it out, go to onproperty.com.au/session. Quickly, I’ll just go through those 8 sites again. If you’re searching for property, go to myrealestate.com.au. If you’re looking for growth trends, check out dsrdata.com.au. If you’re looking for suburb demographics, then go to microburbs.com.au or you can go to Census Quickstats as well to get more demographic information over there. If you’re looking for previous sales history and comparable sales, onthehouse.com.au is a great resource. If you’re looking for historical listings to look at how long the property has been on the market, then go to oldlistings.com.au. If you’re looking for previous rental listings, then you can go to house.ksou.cn and go to the Rent Price section there. If you’re looking for vacancy rates, then go to SQM Research, which you can check out at onproperty.com.au/vacancy. And as I already mentioned, if you want more demographics, then go to Census Quickstats. 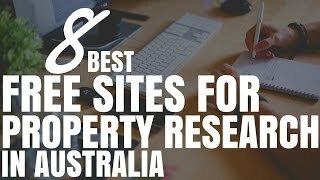 Well, there you have it guys, the 8 free sites for property research in Australia. I hope you take note of these. At any point in time, you can see all 8 of these; just go to onproperty.com.au/341, which is this episode. So, onproperty.com.au/341 and I’ll list all the 8 sites there. All the links to the sites will be there as well. So that’s going to be the easiest way to access it. So you don’t need to take notes on all of these, you can just go to onproperty.com.au/341. You can see all of them over there. Thanks to all the creators of these sites. I absolutely love them. It makes researching really easy. Until next time, guys, stay positive.